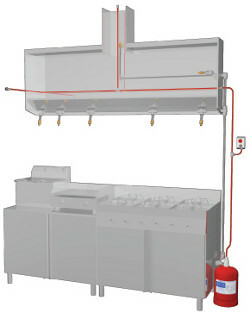 A Black Diamond system can fit inside any industrial kitchen. Each of the 5 different cylinder sizes (9, 12.7, 18.7, 25 and 35L volume) allows protection of both small and large industrial kitchens with just a single cylinder. Improved technology reduces the amount of equipment required, making installation simpler and keeping costs lower. The Black Diamond Pneumatic tubing allows push-to-connect installation, which is both simpler and more stable than other systems on the market. The minimal amount of actuation equipment reduces the scale and scope of maintenance required. The cylinder valve assembly is pressurized with dry nitrogen to 18 bar (260 psi). The valve is opened by the pneumatic or electric detection system, then the agent is discharged through the piping network. Two possible options for the piping network are 15mm or 1/2” stainless steel ASTM grade B sch 40. 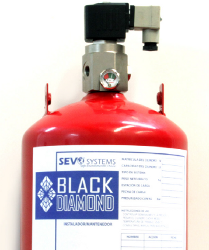 Following Black Diamond design indications we ensure the discharge of all the nozzles at the same time, with the appropriate agent quantity preventing re-ignition. GEM Protect wet chemical fire extinguishing agent utilizes potassium salt. It is a water miscible product, liquid in ambient pressure and temperature and has a low viscosity. The agent is stable, therefore it will not deteriorate over time. The agent is discharged in a very fine mist, cooling the fire to below its auto-ignition. It extinguishes by separating oxygen and fuel, and is an efficient extinguishing agent for Class F or K fires. The agents reacts with grease to form a foam-like layer commonly called saponification which starves the fire of oxygen, halting combustion and preventing re-ignition. An effective fire detection system is essential to minimizing the damage from a fire. 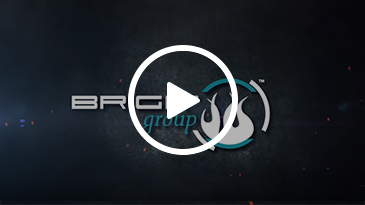 Black Diamond offers single or multiple points of detection and detects throughout the hoods and ducts, as well as in the zones around kitchen appliances at risk for fire. 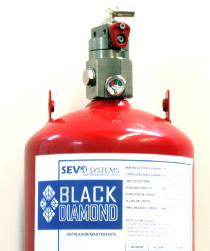 Black Diamond fire detection system offers two types of detection: Electric and Pneumatic. A certified Black Diamond installer will determine which type of detection is required based on the type of kitchen and kitchen appliances being protected. The Black Diamond System utilizes electrical detection by a control panel and a thermal detector cable. The thermal line will detect a range of temperatures (190°F(88°C), 221°F(105°C), 356°F(180°C) depending on the hazard type. An electric solenoid on the top of the valve will discharge the system. 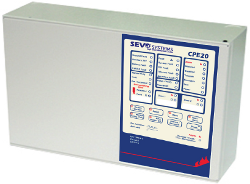 Control panel features allow options such as remote monitoring and communication to the building fire alarm panel. The pneumatic detection system uses a pressurized polimeric detection tube. The tube is distributed through the hood and duct. The pneumatic detection tubing is temperature sensitive, and acts as a continuous linear thermal detector that ruptures at either 248°F (120°C), or 356°F (180°C) depending on the hazard area being protected. Using the same kind of nozzle for all types of appliances means a loss in system effectiveness and efficiency. More agent must be utilized in order to compensate for the differences. Black Diamond has an array of nozzles to customize the system according to the requirements for each appliance. The discharge angle, agent flow, and position are perfectly tested to get maximum systems benefits.